It was bare-root. 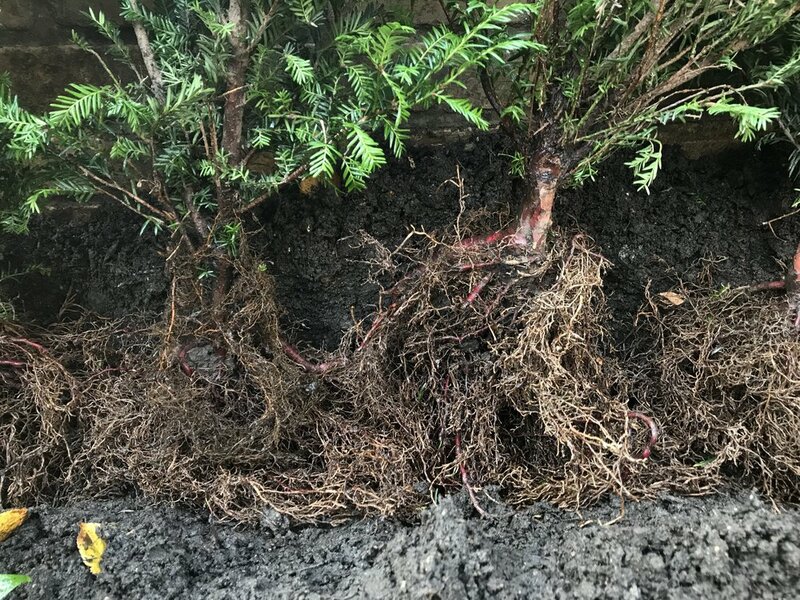 Bare root hedges are dug up from the ground and transported to you literally ‘bare-root’ with no soil and therefore not pot or ‘root-ball’. This reduces the product’s weight, which means you pay MUCH less for it. 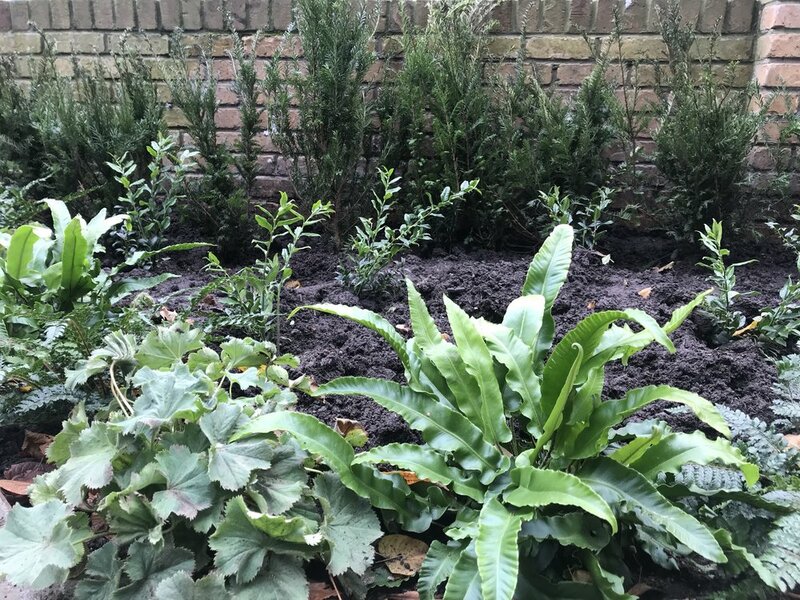 Bare root hedging is younger than ‘instant’ hedging, and as such beds down better, and acclimatises to its surroundings with greater aplomb. All in all, it’s a budget option that will give you a better finished product. All you need is a gigantic dollop of PATIENCE. 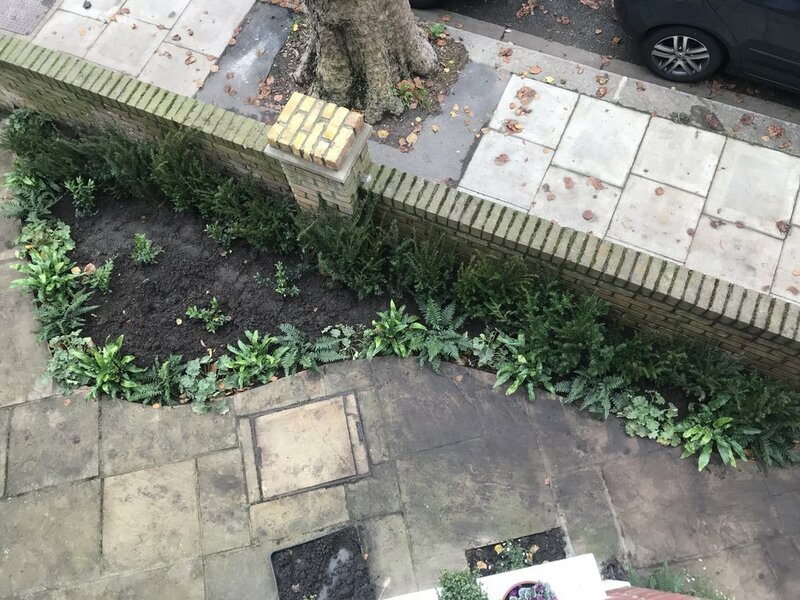 It was pretty tricky to put the hedge in without trampling all the other planting I had previously done. But I managed it eventually, and I even used a mycorrhizal fungi ‘dip’ for the roots before I bedded them in. Studies have shown this to be a ‘good thing’, and I love a study, so the mycorrhizal fungi thing basically had me at hello, but it’s not essential. What IS essential is totally tender loving care in the first few months and beyond. The ground was pretty wet when I planted, but I watered the following day, and I’m watering every three days until it gets really cold. I can’t wait to see this hedge come to life, and for it to block out the cars in the road. Perhaps I’ll do a post every year to show its progress. All this needs now is a multi-stemmed something to go in the middle. I’m still wavering on this but watch this space!